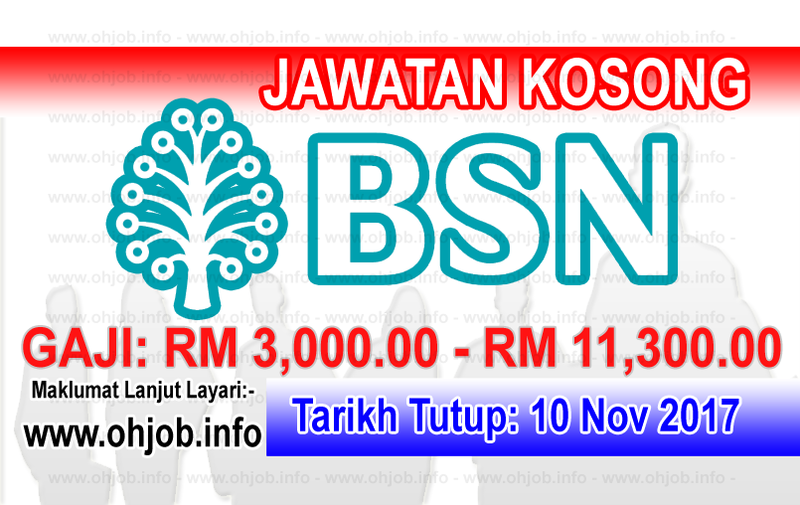 Motivated by its mission to deliver a better life within the reach of all Malaysians, BSN dares to be better, pushing its limits to extend services to all Malaysians. BSN endeavours to give all Malaysians an equal opportunity to pursue a better and more promising financial future and be their gateway to better lives. To achieve this, the bank leverages its expertise and experience of financial inclusiveness, supported by comprehensive products and services range delivered through multiple touch points in all areas of the country. Terima Kasih Kerana Membaca Dan Menyemak Jawatan Kosong BSN - Bank Simpanan Nasional (10 November 2017) Selamat Memohon Dan Semoga Berjaya Kami Ucapkan, Sila LIKE Facebook Page Kami Dan Kongsikan Kepada Semua.